Florida – On February 14th, crazed killer Nikolas Cruz unleashed a barrage of bullets onto students and teachers at Marjory Stoneman Douglas High School which left 17 people dead. Fox News’ Laura Ingraham later revealed three deputies on scene were told not to run into the school because they weren’t wearing body cameras. These deputies were instructed to essentially stand down while innocent children were being slaughtered. Beyond sickening. 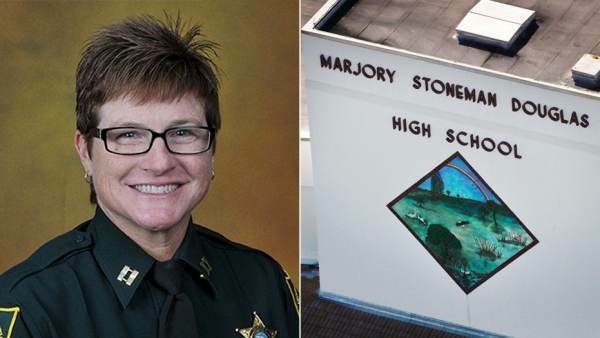 Fox News identified Captain Jan Jordan as the Broward County law enforcement official who instructed the deputies to remain on the perimeter of the school rather than run into the building towards the gunfire to help save lives. The Broward County Sheriff’s Office has identified to Fox News the captain who, according to sources, directed responding deputies and units to “stage” or form a “perimeter” outside Stoneman Douglas High School, instead of rushing immediately into the building, as the mass shooting unfolded there. Multiple law enforcement and official sources said the commands in the initial moments after Nikolas Cruz allegedly opened fire would go against all training which instructs first responders to “go, go, go” until the shooter is neutralized. As law enforcement arrived, the shooter’s identity and exact location were still unknown. The massacre on February 14 killed 17 people and wounded 16 others. 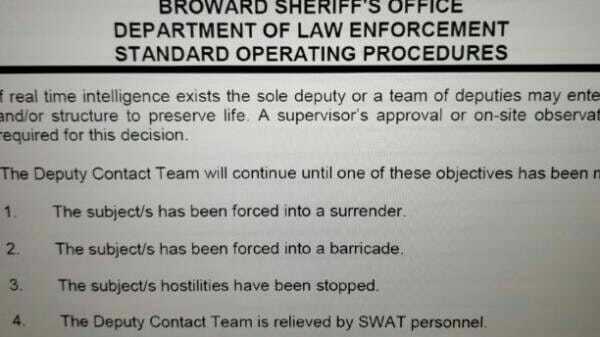 Fox News also obtained a copy of Broward County’s active-shooter policy (partial screenshot below) which indicates responding deputies may enter a building without permission in order to neutralize an active shooter. Calls for Sheriff Israel to be removed are growing. There is an active investigation into the Parkland shooting by the Florida State Senate.